The news has just been confirmed by several European decision-makers: on Friday 8 February, the Council of the EU took a very important step towards a full ban on electric fishing in Europe. In spite of the opposition by the Netherlands and Germany, a new official position was adopted, which is much more ambitious than the previous one. The Council now supports a full ban on electric fishing in Europe starting 1 January 2022. This is a major change from the Council’s official position so far, which was to maintain electric fishing by authorizing derogations in the North Sea up to 5% of the beam trawl fleet. This implies that the European negotiations should soon come to an end after months of political stalemate since the clear vote of the European Parliament on 16 January 2018 in favor of a total and immediate ban on electric fishing in Europe. “This breakthrough means that the only remaining blocking point is the date of entry into force of this ban. 1 January 2022 is far too long a period for small-scale fishers, who do not have the financial means to endure the economic disaster generated by electric fishing in the North Sea” explains Mathieu Colléter, ‘Science & Policy’ officer of BLOOM. The duration of this ‘transitional’ period is indeed being debated, notably in the European Parliament, where several political groups have proposed a ban by 31 July 2019. It is now up to the Rapporteur of the Technical Measures Regulation, Spanish MEP Gabriel Mato (EPP), to convene a meeting to adopt a position in view of Trilogue negotiations, which should be held very soon. “There is no longer any obstacle for the final Trilogue negotiations to take place. We call on the Council and Parliament to adopt a total ban on electric fishing in Europe by 31 July 2019. Artisanal fishers are bled dry, the final decision must take into account the social and economic precariousness of small-scale fishers caused by a series of unfair decisions of European institutions” recalls Frédéric Le Manach, BLOOM’s Scientific Director. 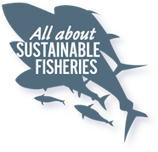 “Dutch industrial fishers enjoyed staggering institutional support that allowed them to obtain that electric fishing be used in 2006 and to receive illegal licenses. They set up falsely scientific licenses and benefited from millions of euros of public subsidies illegally. It is high time to restore some justice and fairness in this blatant case of fraud!”. BLOOM warns that even a ban on 31 July 2019 will require financial support for small-scale fishers who can no longer afford to deal with the losses caused by electric fishing. In addition, we are still waiting for the College of Commissioners of the European Commission to approve the proposal of the Directorate-General for Maritime Affairs and Fisheries (DG MARE) to open a formal infringement procedure against the Netherlands for illegal licencing of electric trawlers. After waiting for 16 months, BLOOM has finally received confirmation regarding the illegal nature of more than 80% of electric fishing licenses, but the proposal by DG MARE is awaiting validation by the College Commissioners. No date has yet been communicated by the President of the European Commission Jean-Claude Juncker, to whom BLOOM has asked for transparent communication. BLOOM also renewed its request to the European antifraud office (OLAF) to investigate on the illegal nature of subsidies allocated to the Dutch electric fishing sector. No answer has yet been received. Months of campaigning against the electrocution of marine life led us to discover very serious and deep dysfunctions of the European institutions and toxic links between public authorities and industrial lobbies. “These detrimental behaviours for the general interest and the trust of the European citizens are precisely the ones that must come to an end” warns Claire Nouvian, BLOOM’s founder.